Those who bear marks on their skin are doomed to a life of slavery. Lexil has seven. Sold into servitude, Lexil must deal with brutal punishments, back-breaking labor, and the loss of every freedom. When a young child she has befriended faces a horrible fate, Lexil must intervene to protect her, no matter what the risk. With the help of a boy named Finn, the trio flee into the Wastelands. There, they must evade those who hunt them while trying to survive a barren landscape. Lexil must face challenges she’s never imagined existed, all while learning what it means to truly be reborn. The Red Queen meets The Hunger Games in this stunning new release. 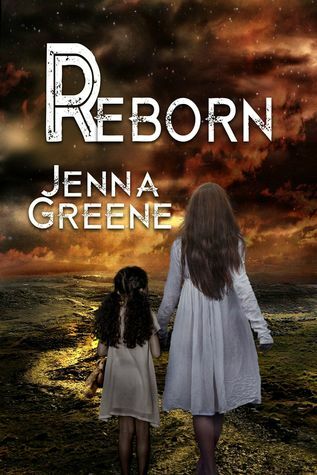 Buy REBORN now to find out if being branded a reborn is a myth, a curse… or a destiny. 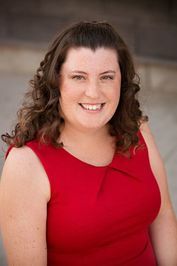 Jenna Greene is a middle school teacher in Alberta, Canada. She lives with her husband, daughter, and dog Thor: Dog of Thunder. In this world it is divided between those that have one life and those that are marked and thought to be reborn. Those that are reborn are slaves for those that have only one life. Lexil was raised as a once born until the marks started showing up on her when she is a teenager unlike others that show marks when they are born or young kids. Lexil is torn from her life and sold into slavery. Not really understanding what is going on and how she should act mean Lexil goes along with everything thrown at her. But then something happens and Lexil goes on the run with two other reborn’s from the plantation that she is sold to. They go hide in the unclaimed cities where they learn more about themselves and the different classes of this dystopian world. But Lexil learns more about herself and who she wants to become. I really enjoyed this story. It has a darkness and sad events that drew me in and made me hope that Lexil would find a way out of her situation. I loved this world even though it was dark and there were tough moments to read. I really hope that there will be more to come from this world. It would be a great series. This book quickly drew me in and left be frantically reading. I couldn’t wait to see what happened next and found that I had read the book in an entire afternoon. This is a great dystopian story and one I recommend checking out.